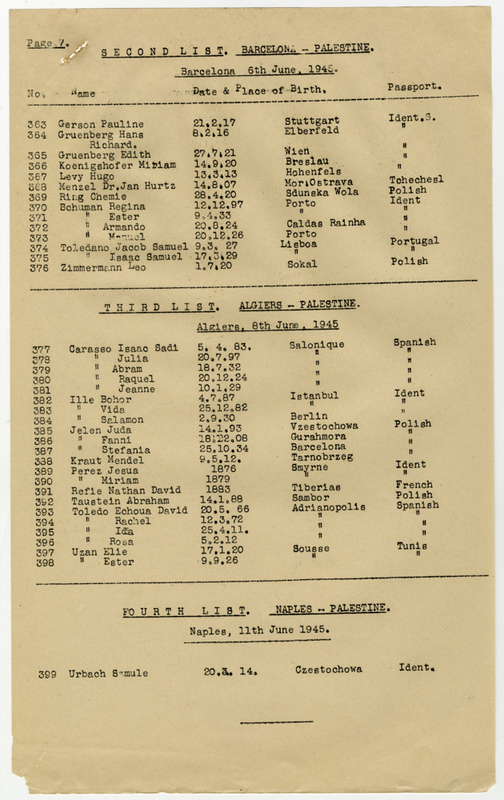 List of emigrants to Palestine from May-June 1945 from Geneva, Barcelona, Algiers and Naples. Enter city of emigration (Geneva, Barcelona, Naples, Algiers, etc. 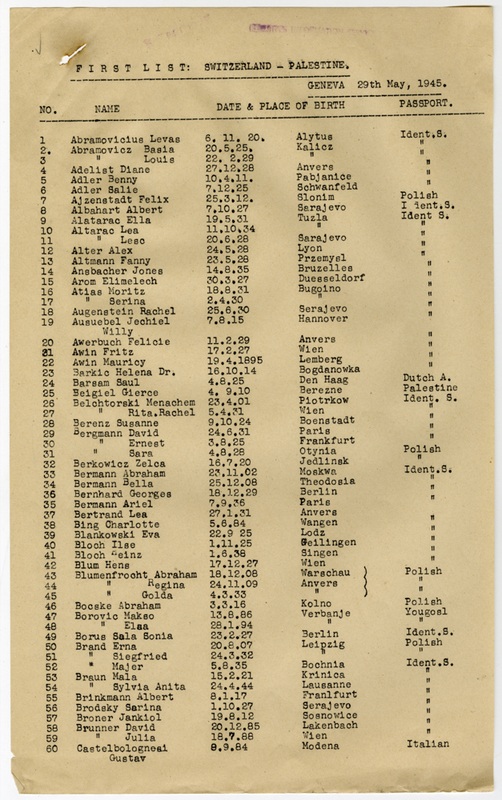 ), surname, given name, birth date, birth place, and passport issuer (if identity papers are listed, please note that).